1. How long will it take to get to the one million dollar space? 2. Write down a guess. 3. What information would be useful to figure this out? 4. Write down some questions you have in your head right now. 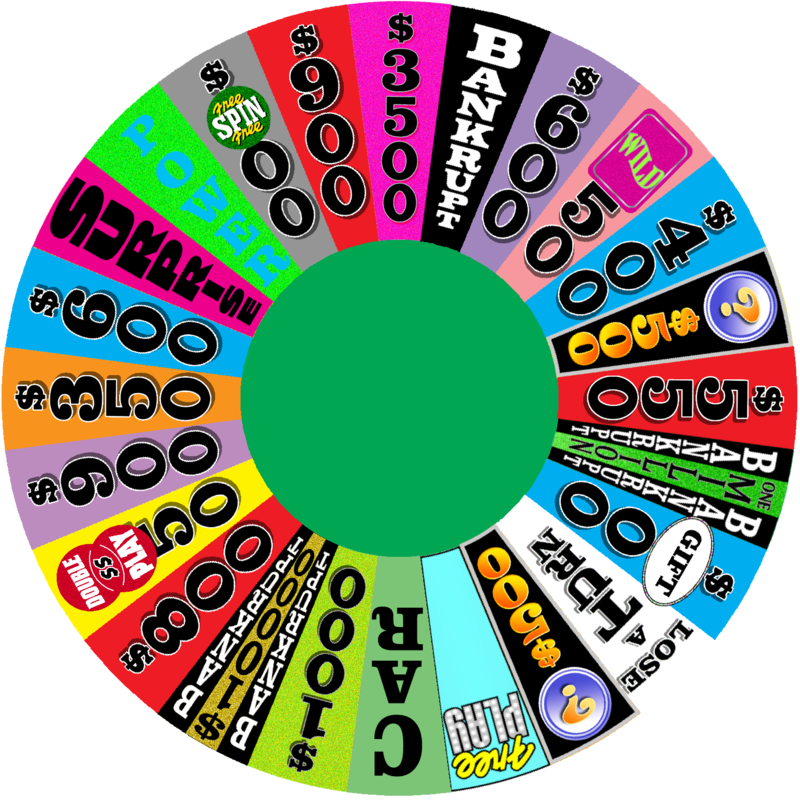 The students can calculate a rate of change by using the Act 1 time information and the following picture of the wheel. 5. How long would it take if the wheel was required to make a full rotation before landing on a space?